Some of you I’m sure know about the Bay Area Electronics Flea Market. It used to be every month, starting in the spring, through the end of summer, in the De Anza College parking lot. In 2018 the market moved to the Fry’s in Sunnyvale. A wide assortment of all matter of electronic doo-dads, thingamabobs, and widgets of all shape and size are often present. If you ever want to see a walking history of electronics in Silicon Valley, that alone is worth the visit. Check it out some time. For times and dates check out their website! A Yaesu firmware upgrade put an end to that, and it stopped working. And that is where I was stuck for a while. I had changed to a fan dipole, and later to an OCF dipole. So 3:1 matching was again within my reach, although on 40 or 80 meters I would get weird SWR sometimes. I came across a chip upgrade on CheapHams.com that replaces the ROM with a new ROM that makes the YT-450 essentially a YT-1200, which restores compatibility with the FT-991! For $20, they send you chip and a sheet of instructions for installing the chip, and the parameters to set on the FT-991. 4 small screws and 10 minutes later and… Done! I have a working tuner again… for $20! Signal Stick – Get One. So far appears to be fairly indestructible. It actually does what it says it does. The antenna is 18.25″, is available in a variety of connector types, and comes in basic black. The cowling is 3D printed and set with epoxy. It is crazy strong. There is a growing list of reviews available online and on YouTube with nearly unanimous positive results and glowing recommendations. My review of the Signal Stick has also been very positive with improved signal quality in my anecdotal testing across radios and local repeaters. I have most of the same antennas the reviews call out in their comparisons, and I would say my testing pretty much aligns with everyone else’s. Did I mention they are only $20? Want to learn CW? I came across this in my travels through the interwebs. It is called the Morserino. I am guessing it is a mashup between of the words “morse” and “arduino”. It had in initial, successful (over 300% of goal!) Kickstarter campaign. They come as a kit but all the SMD parts come pre-populated on the board. They come from Austria, and kits can take up to a month to arrive. According to the FAQ, it takes about an hour to assemble. The cost is 80€ or about $90 at the current conversion rate. You can also get a discount on orders of multiple kits and save on shipping. They have quite a few modes, have built in capacitive touch paddles, will work as a key, decoder, works with your own key, and of course is a trainer, plus all manner of additional features. I have ordered 1 kit as I have been looking for a CW trainer, and since I have to use a soldering iron, of course I am all in! I will post again once it is received. Check out www.morserino.info for more details! Especially if you liked the Ham Fun night on Grounding – great discussion about grounding. Haven’t tried this yet, but anxious to do so…. Will post my results here. From the Ham Radio Deluxe e-mail…..
As mentioned in the 6.4.0.886 release notice sent recently, we have improved the ability to integrate WSJT-X with Ham Radio Deluxe Logbook. Prior to this release, the use of JTAlert was required. Many customers enjoyed this method and tens of thousands of (FT8, JT65, JT9, etc) QSOs have been made with this method. We will still continue to support this method and the efforts of the JTAlert developer to continue and improve JTAlert. 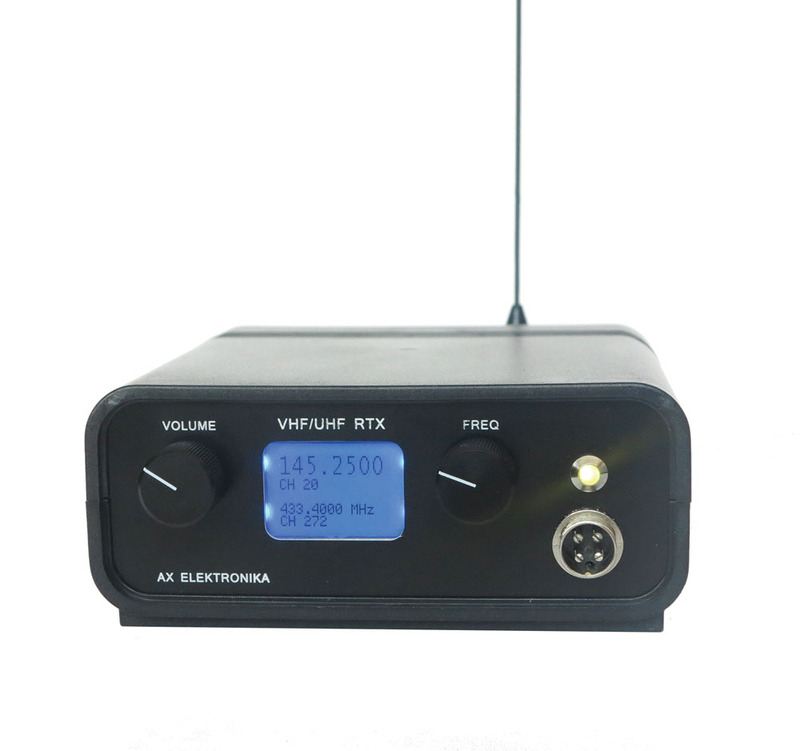 With this release, Ham Radio Deluxe users can connect WSJT-X directly to Logbook and QSOs made in WSJT-X are automatically added into Logbook. This feature is called “QSO Forwarding” in Logbook. WSJT-X refers to it as “Reporting”. We had many requests from our clients to provide this feature and I’m very pleased with how it works. I have created a 7 minute video that demonstrations how to configure WSJT-X and Ham Radio Deluxe 6.4.0.886 to do this. The first two minutes of the video demonstrates the setup. In the remaining five minutes, I make a few FT8 QSOs and you can see them going immediately into Logbook. Attack of the $100 DMR Hotspots! 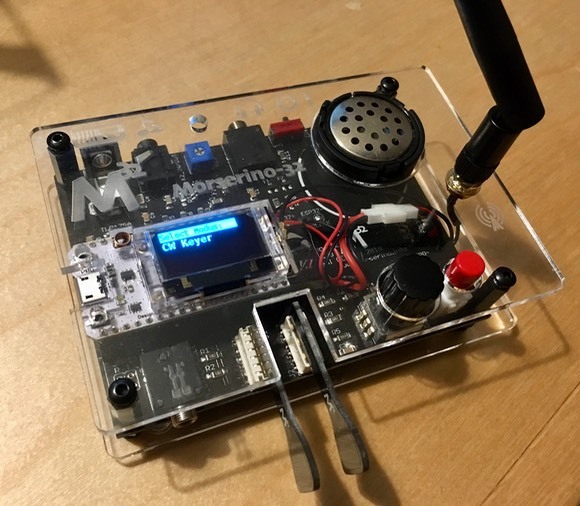 The Chinese have now successfully copied the DV Mega digital radio board (also called the MMDVM) that had been the key to many of the $200-300 hotspots many hams have been using to get on DMR. I put mine together last year by buying a DV Mega 70cm board and mating it with a Raspberry Pi 3. 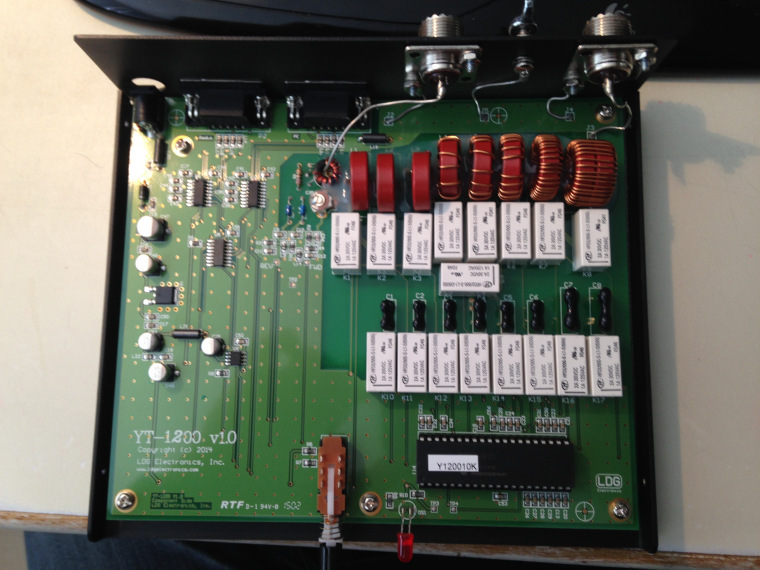 It’s worked like a champ, but I spent about $200 for the two boards, then added a $100 case and power supply that has allowed it to run on the cylindrical 18650 Lithium cells. All together, I spent about $330. It comes with a 3 foot USB to USB mini cable that is used to power it up. The only thing you have to do to get it started is to copy a small file that has your Wi-Fi network name and password to the micro SD memory card that comes with the hotspot. This allows you to reboot it and then edit the details in a web page that hooks it up to the right BrandMeister server and has you name, DMR ID, and a few other things. You should order a micro SD-to-USB adapter if your laptop doesn’t already have an SD slot. That’s only another $8 or so. The software that runs on this hotspot is called Pi-Star, and is a collaborative effort between a guy in Shenzhen, China, and a U.S. ham, so you likely won’t encounter much of that inscrutable Chinglish verbiage that often plagues Chinese radio buyers. I’m very impressed with both the Pi-Star software/firmware, and the tiny size of this neat little unit. Running on the standard USB 5 volts, you can grab it and plug it into your computer, your phone charger, or maybe even a USB port in your late-model car. It takes about 2 minutes to boot up (watch the display for a clue), then you’re good to go…maybe. Did I forget to mention that you must carry around a Wi-Fi to cellular phone modem? You can enter the names of several Wi-Fi networks, and the Pi-Star software will switch to whatever it finds. Many people don’t realize that they have free or low-cost ($25/mo) Wi-Fi cellular modems in their smartphones. This little guy will work with any of them, as long as it’s using the 2.4 GHz band. Sorry no 5 Gig. Anyway, you can’t beat the price, and I can tell you that mine works as well as my $300+ unit. SBCARA will be sponsoring a Ham Cram event on September 22 @ 8AM at the Morgan Hill Police Department training room (right side dbl doors when facing the front of the building). Study sessions begins at 8AM and runs through 1 PM. Exams are from 1 PM – 4 PM. Fee: Class and Test: $25. Test only: $14. Bring a photo ID, SSN, or FRN, and cash for fees. If you are testing for an upgrade, please bring a copy of your current license grant. I would recommend registering for your FCC FRN and bringing that. Just follow the instructions on the link provided. This session is sponsored by Morgan Hill EOS, San Benito County Amateur Radio Association, and W5YI-VEC. So, what is a ham cram? – A ham cram is where you go and study the test material for either the Technician or General Amateur Radio exam and then immediately take the exam following the study period. It is a fairly effective way for you to get your tech or general license in one day. Youth down to about 12 years old have also been very successful using this method. But I don’t learn anything this way. I just learn to take the test! – That is true to an extent. I have always said the test is not really the test. Getting on the air is the test. Many people find the equipment intimidating or overwhelming. Some people take their test, pass, and yet never get on the air! We have great local clubs and groups that can help you with radio selection, programming, and getting you on the air. Just ask! Weekly Morgan Hill Amateur Radio Society Net, hosted by K7DAA and his band of merry followers from Morgan Hill, San Martin, Gilroy, Hollister, and beyond. The first Wednesday of every month is our Tech Night were we focus on a particular tech topic. The rest of the month (well, all the time, really) it is friendly chat, keeping up with ham news of the day, and seeing what's new with folks. Weekly SBCARA Net. See www.sbcara.org for details. Hosted by W6KRK. Please contact directly for directions. HF Night, AKA Ham Fun Night is a monthly gathering of like minded amateur radio peeps that like to meet and share ideas. Past meetings have included Lifepo4 battery information, how to do satellite contacts, antenna workshops, etc. Future topics will include a Skype meeting with Elecraft, and other interesting topics related to our hobby. Garlic Valley Amateur Radio Club monthly breakfast meeting at Mimi's Cafe in Gilroy.